Nariño. Department in southern Colombia that produces certain particularly admired specialty coffees. 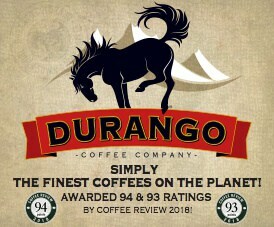 Natural Coffee, Dry-Processed Coffee, Dry Method Coffee. Coffee processed by removing the husk or fruit after the coffee fruit has been dried. When only ripe fruit is utilized and the drying is done carefully dry-processed coffee can be complex, fruity, and deeply-dimensioned. When the picking and drying are performed carelessly, as is the case with cheaper dry-processed coffees, the result is off-tasting, harsh coffee. The best and most celebrated dry-processed coffees are Yemen coffees, the Harrar coffees of Ethiopia, and the finest traditional Brazil coffees. Neapolitan Macchinetta, Macchinetta, Flip-Drip. A style of drip method brewer in which the ground coffee is secured in a two-sided strainer at the waist of the pot between two closed compartments. The brewing water is heated in one compartment, then the pot is flipped over, and the hot water drips through the coffee into the opposite compartment. Neapolitan Roast. Term for coffee brought to a degree of roast darker than the typical espresso roast, but not quite black. New Crop. Coffee delivered for roasting soon after harvesting and processing. Coffees are at their brightest (or rawest) and most acidy in this state. Also see Old Crop. New England Roast, Light Roast, Cinnamon Roast. 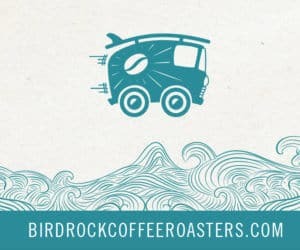 Coffee brought to a degree of roast of coffee lighter than the traditional American norm, and grainlike in taste, with a sharp, almost sour acidity. This roast style is not a factor in specialty coffee. New Guinea. Single-origin coffee from Papua New Guinea. The best-known New Guinea coffees are produced on very large, state of the art estates that produce a very well-prepared, clean, fragrant, deeply dimensioned, moderately acidy coffee. 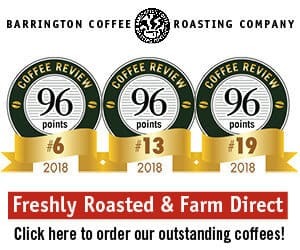 Other organically grown New Guinea coffees are produced on small farms and processed by the farmers using technically simple means, producing quirky, full, complex coffees at best, off-tasting coffees at worst. New Orleans Coffee. Traditionally, dark-roast coffee blended with up to forty percent roasted and ground chicory root. Most New Orleans blends sold in specialty stores today contain no chicory, however. They are essentially dark-roast blends, heavy on dry-processed Brazil coffees. Nicaragua. Nicaragua coffees (usually market names Jinotega and Matagalpa,) are excellent but usually not distinguished coffees in the classic Central-American style: medium-bodied, straightforwardly acidy, and flavorful.